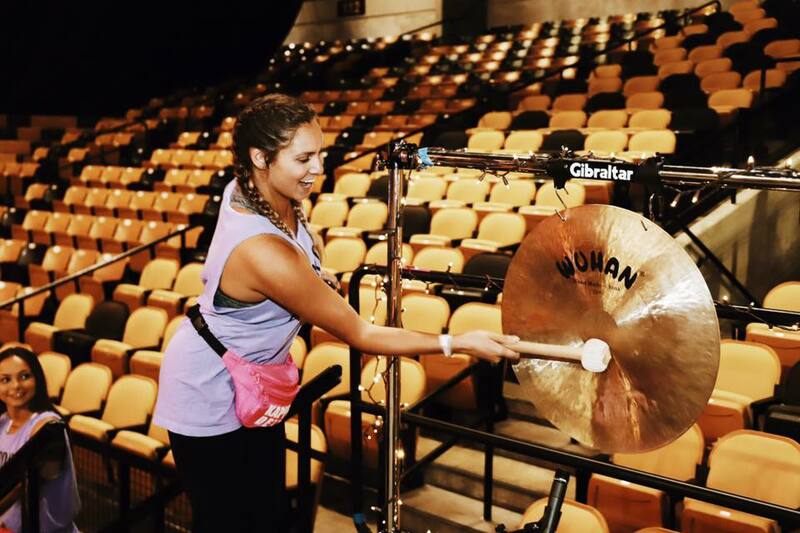 On the weekend of April 7th and April 8th, The University of Central Florida’s Dance Marathon program, Knight-Thon, left their legacy in a big way. 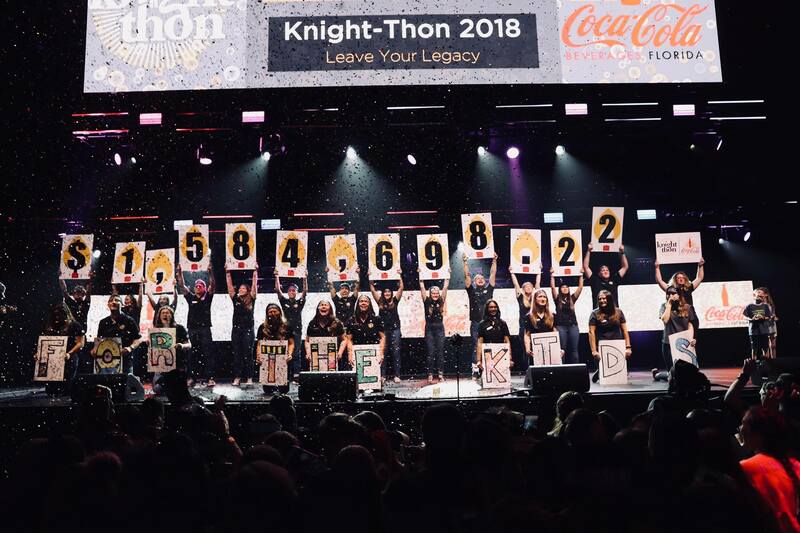 Through their year-round fundraising efforts, bringing their cause to life, and focusing on their “why”, the students of Knight-Thon raised an incredible $1,584,698.22 for children and their families treated at Orlando Health Arnold Palmer Hospital for Children. During the entire school year, the Knights set out to create a change on their campus. A change that would develop into a mindset of a monetary number not defining their campus. 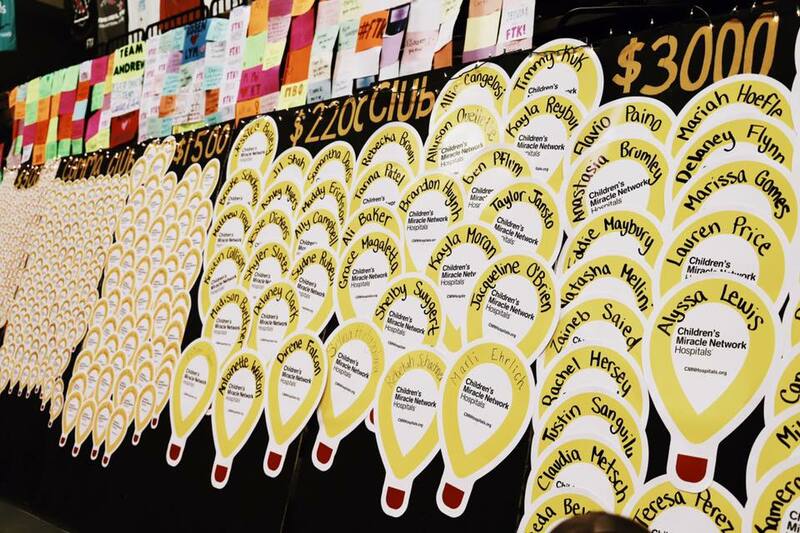 For the first time, Knight-Thon decided to not release a monetary goal to their students – instead challenging each individual to leave their own legacy on the year ahead. It was up to each individual to decide what their drive was going to be for the year ahead, relating the overall theme of 2018 back to Arnold Palmer’s vision of healthcare in Central Florida of, “we can do better, and we should do better for the children of our community.” This quote drove their leadership team each and every day, resulting in a record-breaking year. Knight-Thon is now the 6th largest Miracle Network Dance Marathon in the country. This total would not have been possible if not for the support of the Central Florida community and the student participants (dancers). 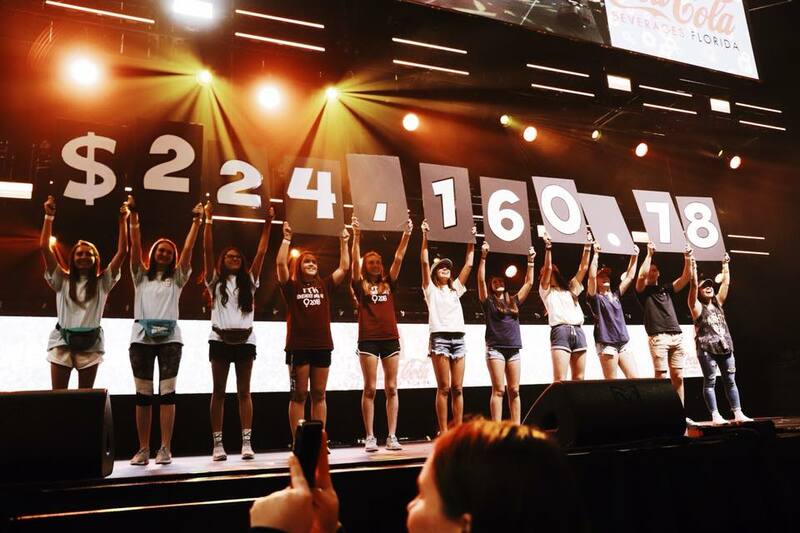 From each and every business that contributed to their total, to all 10 high school programs that hosted a “Mini Dance Marathon” event, and all of the year-round fundraising asks made by each and every dancer, miracles were made possible. In fact, the Central Florida High School Mini Dance Marathons contributed an outstanding $224,160.78 all For The Kids! Thank you to each and every high school program that worked so hard to help make a difference for Arnold Palmer Hospital for Children, including Windermere High School, West Orange High School, Viera High School, Melbourne Central Catholic High School, University High School, Timber Creek High School, Winter Park High School, Hagerty High School, Father Lopez High School, and Edgewood Jr/Sr High School. 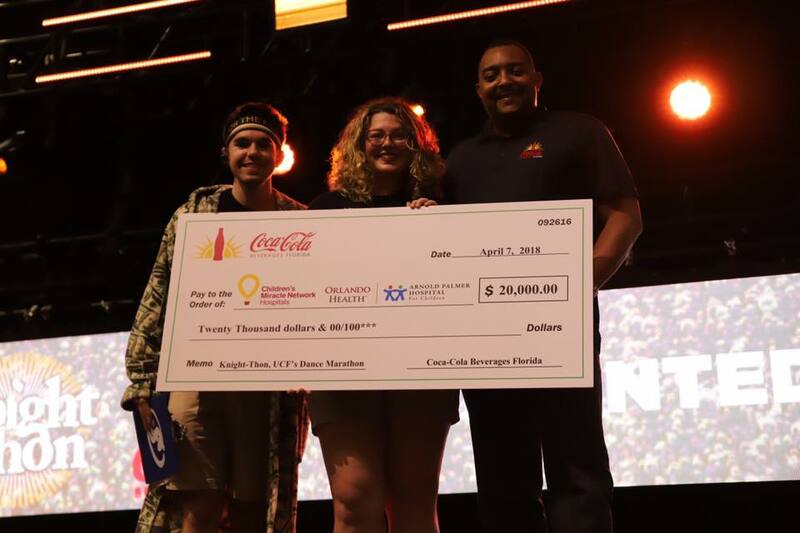 A very special thank you to Coca-Cola Beverages Florida for their support as Presenting Sponsor for the main event. They donated $20,000 to the overall total and handed out tons of hydrating beverages throughout the 20 hours! Thank you Coca Cola Beverages Florida for keeping the dancers healthy and hydrated. 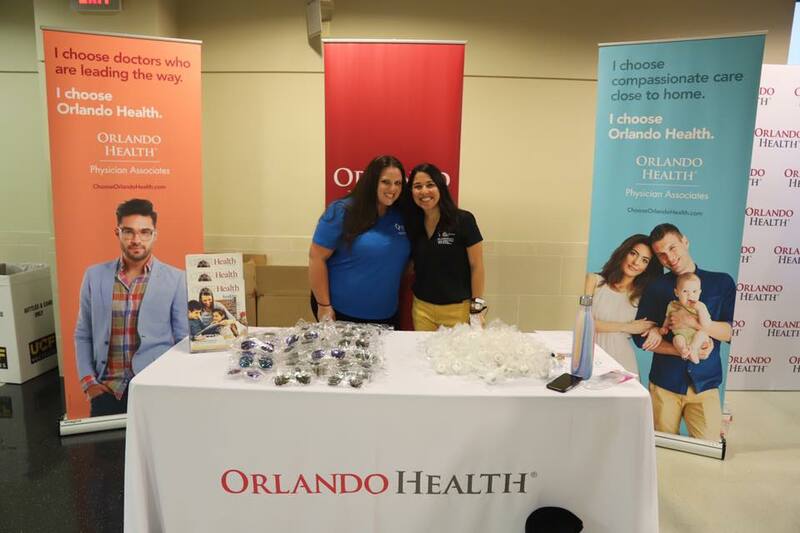 Another thank you to Orlando Health for serving as the Opening and Closing Sponsor for the main event. They not only donated $20,000 but they handed out massages to top fundraisers during the late hours of the night. Thank you for keeping the dancers motivated! It is safe to say that Knight-Thon has left an incredible legacy on Arnold Palmer Hospital. For each and every child that walks through the doors, for every family that hasn’t had to yet, but one day will, and for the future generations. Thank you, Knight-Thon, for all you do For The Kids!